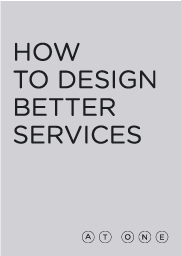 This book will teach you how to use the service design methodology AT-ONE to jumpstart your process. You can read more about the AT-ONE book or send an email to order it. Service Innovation © 2019 All Rights Reserved.